ECB are delighted to have Ulrika Björnerot, director of Equi Team International AB, working as the representative for the Nordic countries. Both Ulrika and Equi Team have a wealth of knowledge in the rehabilitating of horses, and in particular, the ECB spa and water treadmill. Having a local person on the ground always gives people peace of mind and the back up they need for using our equipment. Ulrika knows ECB well and chose us after researching all the spas and treadmills on the market. ECB client Winstar Farm was featured in the HealthZone in the August issue of BloodHorse Magazine: Racing Older Horses - Tips on Keeping Them Sound. Click the link to read the full article. 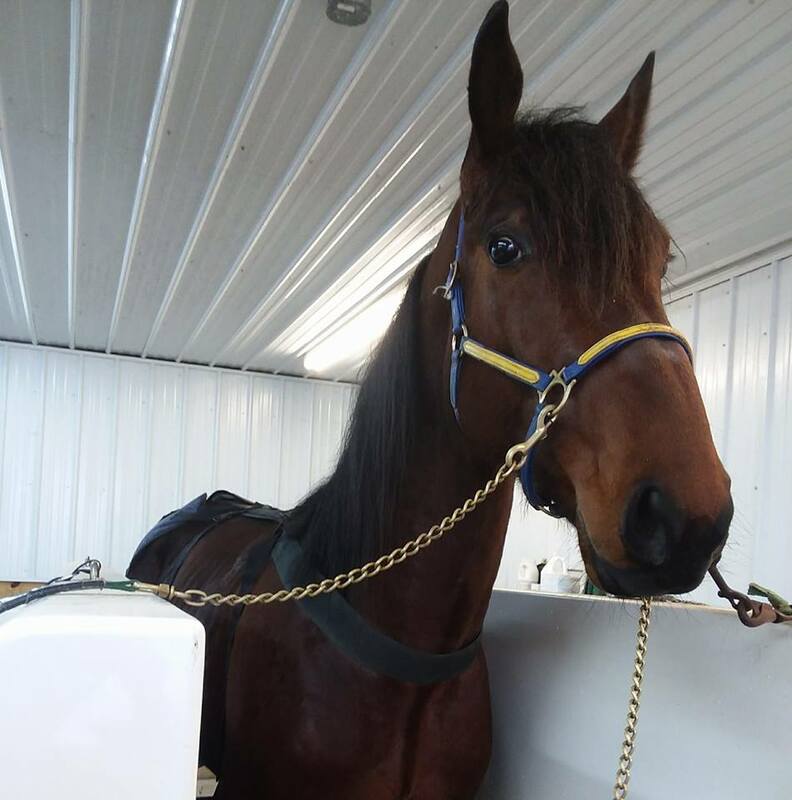 When you hear the word “spa,” massages and facials may come to mind, but M/M Equine Spa & Rehab Center’s services will make you rethink the idea that a spa just provides a day of relaxation. Cutting horses and other performance horses are often asked to give 100 percent in the show pen for extended periods of time, especially during some of those marathon Triple Crown events. 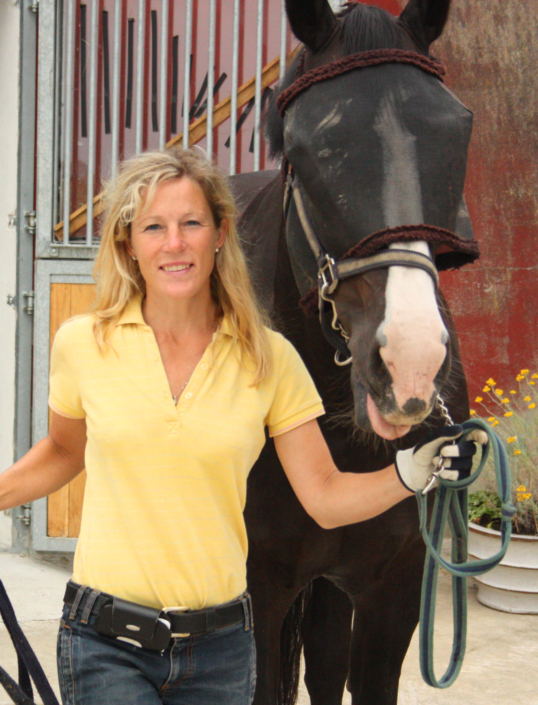 And often, those athletes need more than just a couple days of rest to bounce back for the next show, particularly if a horse has a new or existing injury. Matt Miller, and his wife, Megan, had seen the power of rehabilitation therapy on their own horses first hand and thought the addition of a rehab center at their training facility (M/M Cutting Horses) in Poolville, Texas, would be invaluable. Their goal was to not only be able to service and rehab their own client’s horses, but also equine athletes from other programs, as well. The spa offers a variety of treatments that will ensure your horses are feeling strong and performing at their best. One of their most popular services is the ECB Cold Saltwater Spa. The Cold Salt Hydrotherapy is used to treat and prevent a variety of injuries by moving 35°F aerated saltwater around those problem or high-risk areas of the lower leg. The cold temperature helps to increase blood circulation and decrease inflammation, while the salt concentration causes ligaments and tendons to tighten. The Equine Spa will be located at The Oaks in San Juan Capistrano, CA for the next 3 weeks. Text or call Jett Martin at (949) 413-3581 to set up your appointment. Stop by and say hi... they are located behind the shoeing racks under the big white tent. ECB congratulates all of the connections of Justify... making history as the 13th winner of the Triple Crown! Winstar Farm has had their ECB Equine Spa installed since 2014... Justify will get to relax in the spa as he recovers from his hectic racing schedule. 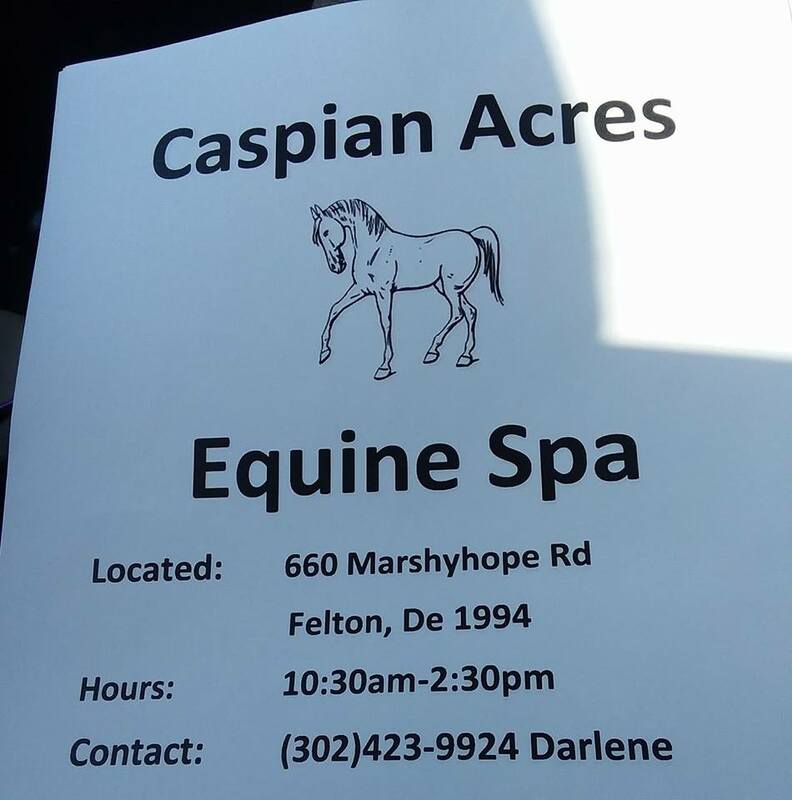 Caspian Acres Equine Spa in Felton, Delaware is now open for new clients. CLICK HERE to visit their business page for more information. Three ECB spas and an ECB water treadmill head off to a racing facility in Asia! 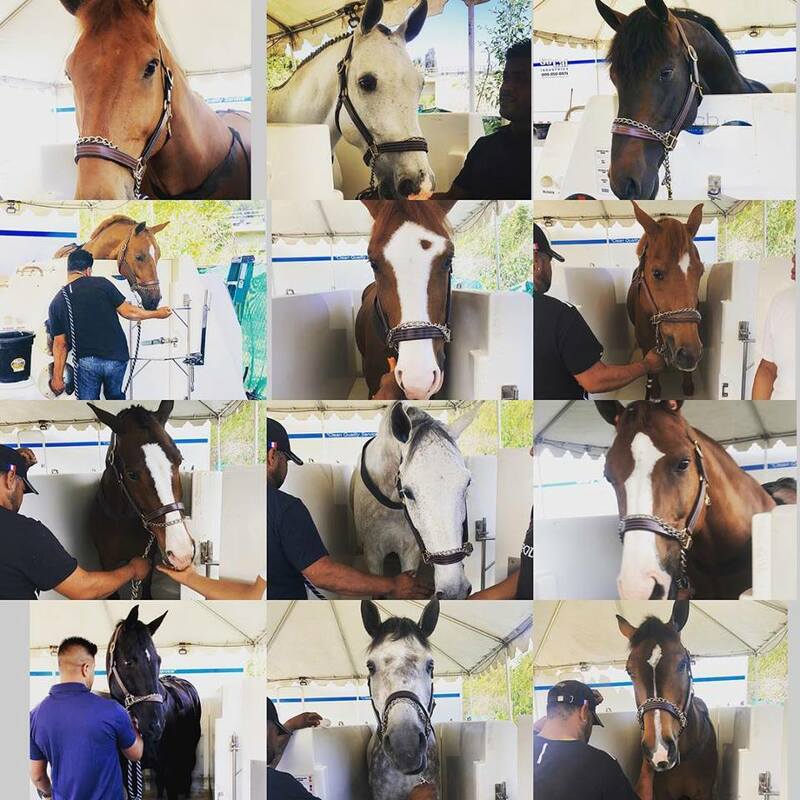 ECB has installed a new cold saltwater spa at Triple Crown Equestrian in California... call for an appointment! CLICK HERE for article and video of the spa located at Churchill Downs. Horses are no strangers to a day at the spa! See pages 8-9 in this issue of The Modern Equine Vet for the benefits of hoof chilling in treatment of Sepsis-Induced Laminitis. The ECB Spa maintains a constant temperature of 2 degrees C / 34 degrees F and is an ideal method! Congratulations to spa owner Beau Galyean and Rollz Royce connections . . . . Derby Open Reserve Champion at the 2018 Super Stakes! Three of the top 5 finishers are all ECB clients! The Irish Equine Rehabilitation and Fitness centre, Lisburn has opened their doors after a year of building. The centre has an ECB Aqua Treadmill and will be offering various treatments. Q. 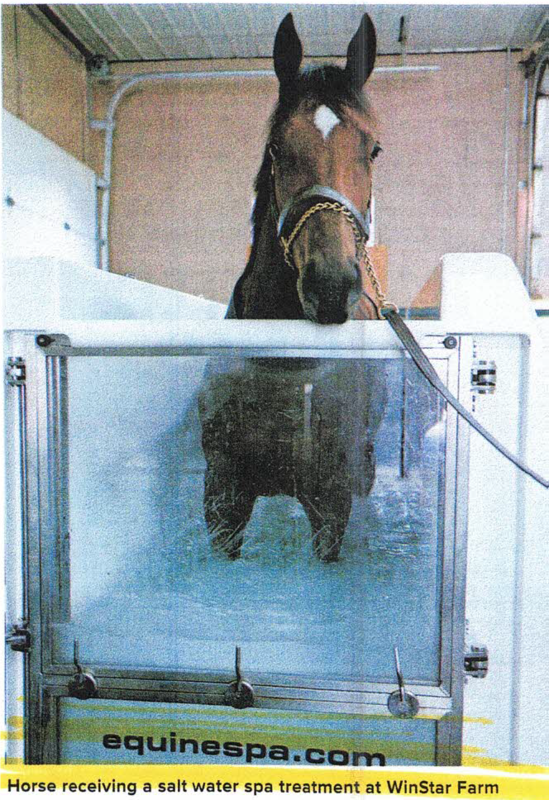 The perfect way to analyse a horse's stride or gait on the water treadmill? A. Solid glass doors and side panels on the ECB Aqua Treadmill! Our first Spa patient with a baby at Danven Arabians. All went off smoothly as long as mum had food and baby could see mum. Such special animals. ECB have installed another water treadmill, this time in Lisbon, Portugal. The HTS facility already has an ECB spa. Equine spa and water treadmill installs across Europe. Check out the current issue of Modern Equine Vet for ECB Spa client Dr. Steve Adair's recommendations on rehabbing horses. Dr. Adair runs the University of Tennessee's Veterinary Teaching Hospital. CLICK HERE for the article.